The track beside the river from Wivenhoe to the Quays at Colchester is an old friend, from the two summers I spent working at Essex University; the track on the other side of the Colne is not. Coming off the roadbridge I walk through an area of deserted warehouses but walking out of a bend I find myself facing a clutch of soldiers in desert fatigues. They smile as I walk slightly nervously through the middle of them but twenty five metres on I catch sight of a scene that stops me in my tracks. Two men dressed in shabby djellabahs and Palestinian scarves are crouching over a small bonfire – a woman in a long skirt and shawl leaning against a wall behind them. In front I see the back of a man in western dress bent over the small party shouting and gesticulating at them to stand up. I am shocked, I stop, what is happening? Are these illegal immigrants in for a beating? Should I take a photo? Two seconds later I realise it is a film set and my indignation recedes, I continue along the grassy track to a Sunday boot sale in Rowhedge. 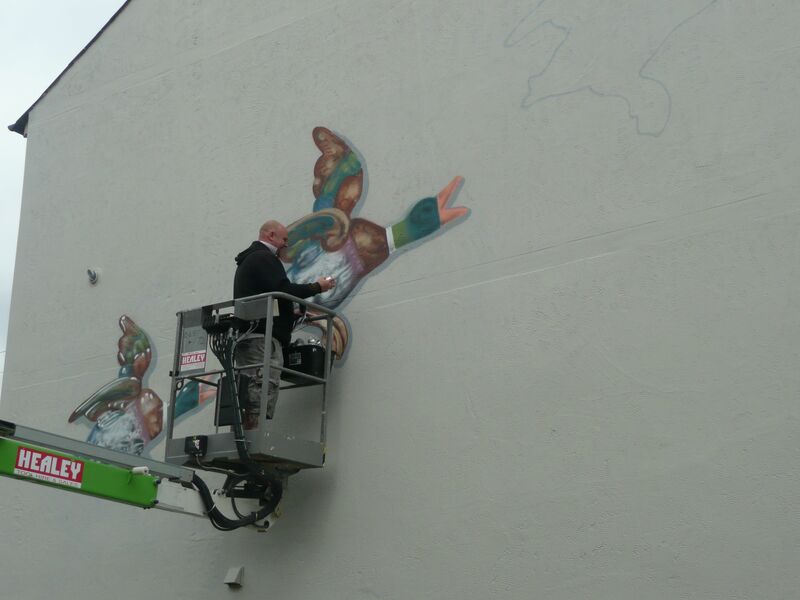 Flying ducks are being painted on the pub wall, all is well in the world. Over the fields to Fingringhoe Church and over more fields to the Stepford Wives of Abberton locked up in their neat little bungalows. 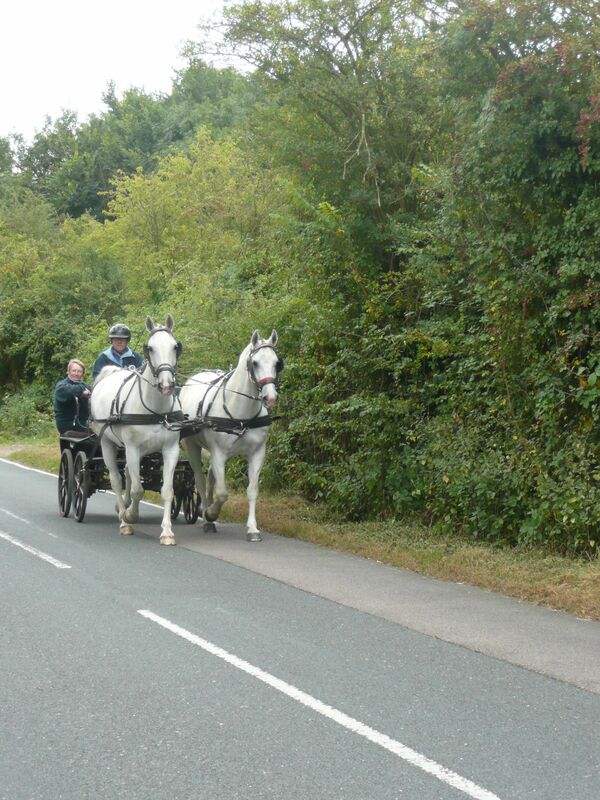 From now on it is road walking, the monotony broken only once by the sight of a horse and cart tripping gaily past on the other side of the road. At the Peldon Rose I call it a day and celebrate with an extremely good skate wing and a half of local bitter.